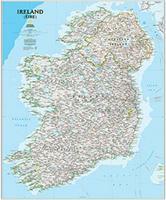 Ireland maps from Omnimap, the leading international on-line map store with over 275,000 map titles. Ireland 1:250,000 Topographic Quadrangle Maps. Popular "Holiday Series" maps. Ireland Topographic Quadrangle Maps - click here. Please see Ireland, Northern for additional maps of Northern Ireland. We recommend the Irish 1:50,000 topographic maps for hiking in both Ireland and Northern Ireland. These are superb maps that clearly show the topography and trails. There are a few other hiking maps that we recommend as well; please see the list below. Ireland Hiking Maps. Ireland Ordnance Survey. These maps are part of a new hiking map series similar to the British OS Leisure Map series. Several of these maps have been produced completely from digital data. $12.95 64-8080KI Killarney map. 1:25,000. 1991. $9.95 64-8080WI Wicklow map. 1:50,000. 1989. Brandon Mountain hiking map. 1:25,000. Ireland Ordnance Survey, 2005. Weatherproof. ISBN 1903974844. $19.99 64-8080BR 1 sheet, folded. Macgillycuddy's Reeks Map. 1:25,000. Ireland Ordnance Survey. 2nd ed., 2005. A waterproof hiking map of Ireland's highest mountain. $19.95 64-8080MC 1 sheet, folded. The Mournes hiking map. 1:25,000. Ireland Ordnance Survey, 2004. The Mournes in detail - tracks, cliffs, climbs, the Wall etc. With contours at 10 metre intervals showing clearly the impressive relief of the uplands - sweeping down to the sea via the scenic drives and forests to boating and fishing. Waterproof paper. ISBN 1905306091. Sperrins Activity Map. 1:25,000 & 1:100,000. Ireland Ordnance Survey, 2006. Shows National Cycle Network, Scenic Routes, Visitor Information and Areas of Interest. ISBN 1905306121. $17.95 64-8080SP 1 sheet, folded. Ireland "Holiday" Regional Travel Maps. 1:250,000. Ireland Ordnance Survey, 2011. These four maps are the most popular maps of Ireland, offering excellent road detail and tourist features such as tourist offices, official caravan parks and picnic areas, etc. NOTE: The North sheet is temporarily out of stock and due in a few weeks. $17.99 64-8052-1 North sheet. Covers Northern Ireland. Temporarily out of stock, the 2011 edition is due shortly. North sheet coverage. $17.99 64-8052-2 West sheet. Covers Clare, Galway, Mayo, and Sligo. West sheet coverage. $17.99 64-8052-3 East sheet. Covers from Waterford to north of Dublin. East sheet coverage. $17.99 64-8052-4 South sheet. Covers Cork, Kerry, Limerick, etc. South sheet coverage. Ireland Travel Map. Scale 1:385,000. National Geographic Maps. The north side of the Ireland map details from the northernmost tip of the island at Malin Head south to Dublin and Galway, including Belfast, Dundalk, Londonderry, and Sligo. The south side overlaps the northern side of the map at Galway on the west and Dublin on east, covering the remainder of the country including the cities of Limerick, Tralee, Cork, and Waterford. An inset map provides detail of the Skellig Islands. Sites of interest from prehistoric monuments and castles to churches and abbeys are noted making this map indispensable for the traveler seeking to explore Ireland's rich history. Size is 26 x 38". Ireland Touring Map. 1:450,000. Ireland Ordnance Survey. This map offers excellent road detail on a colored background, making the roads easy to see. This map offers more place-names showing natural and tourist sites - please compare the sample image (click on the yellow "sample" button below) for this map to the sample image for 64-80903 below. This map shows National Park boundaries, scenic routes, and much more. Includes 5 small city inset maps - ideal for getting into and out of a city, but not for walking around the tourist center. Ireland Leisure Map. 1:450,000. Ireland Ordnance Survey. Featuring beaches and outdoor pursuits with carvan and camping parks. Ireland Travel Map. 1:500,000. Michelin. A good road map covering the Republic of Ireland. The front side of the Ireland travel map. The reverse side of the Ireland travel map. A detail of the Ireland travel map. Official Ireland Road Atlas. 1:210,000. Ireland Ordnance Survey. This atlas is at the scale of 1:210,000 and offers extensive detail of the roads and terrain of Ireland. 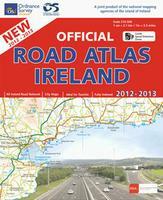 A must-have atlas if you are driving in Ireland. (Ireland) Cork City and District Atlas. 1:10,000. Ordnance Survey Ireland, Dublin. 1998 (1st edition). A spiral-bound street atlas. The atlas contains 48 map pages, 10 pages of tourist information, and 25 pages of street index. North Leinster street atlas. 1:10,000. Ireland Ordnance Survey, 2006. Spiral-bound street atlas. ISBN 1905511000. Dublin City Map. 1:20,000. Ireland Ordnance Survey. This double-sided map covers the entire city, split east and west and offers the most coverage of Dublin city/suburbs except for the Dublin street atlas (listed above). There is a 1:7,500 inset map of the city center, plus an inset of the city center bus lines and terminals. The map shows public and notable buildings, Garda stations, parks, post offices, hospitals, carparks, railways, bus routes, churches, etc. A separate street/building index is also included. Map size is 72 x 100 cm. $16.95 64-8092E 1 sheet, folded. Dublin Commuter Map. 1:50,000. Ireland Ordnance Survey, 2011. This map illustrates the roads into, out of, and around Dublin. Strip maps in the margins illustrate the main motorways with details of each exit/interchange. Inset maps illustrate Dublin Port noting the bus station and the car and passenger ferry docks. Ideal for drivers or people staying outside of downtown, but not suitable as a walking map of downtown Dublin. City Plans of Ireland and Northern Ireland. Ordnance Survey of Northern Ireland & Ordnance Survey of Ireland. Excellent, detailed maps with street indexes for cities in both the Republic of Ireland and Northern Ireland. Sample of the detail of the Derry map. $12.95 64-8092BA Ballynahinch, Downpatrick, Newcastle city map. 1:10,000. 1994. $12.95 64-8092BC Bangor, Holywoodcity map. 1:10,000. 1994. $16.99 64-8092C Belfast city map. 1:12,000. $12.95 64-8092CA Carrickfergus & Larne city map. 1:10,000. 2007. $12.95 64-8092CS Craigavon, Lurgan, Portadown city map. 1:10,000. 2006. Includes Bleary, Derrymacash, Dollinstown, Drumnacanvy, and Waringstown. $12.95 64-8092DE Derry & Londonderry city map. 1:10,000. 2006. $15.95 64-8092FG Galway city map. 1:9,000. $12.95 64-8092KI Kilkenny city map. $13.95 64-8092LE Letterkenny city map. $12.95 64-8092LI Lisburn city map. 1:8,000. 2006. $12.95 64-8092NE Newry & Mourne city map. 1:10,000. 2006. $12.95 64-8092OM Omagh & Fintona city map. 1:10,000. 2006. $15.95 64-8092W Waterford city map. (Ireland) Irish Historic Towns Atlas (continuing series). Royal Irish Academy. 1986-continuing series. These folios include descriptive text and several reproductions of historic maps for each of the cities covered. These are attractive and interesting folios. $35.95 64-8093-11 Dublin to 1610 (part 1). 2002. Ireland Classic Political Wall Map. Scale 1:550,000. National Geographic Maps, 2010. Ireland and Northern Ireland Classic Map is ideal for those researching their Irish ancestry, a perfect tool for business reference, and a beautiful addition to any décor. 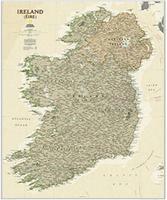 It's one of the largest and most detailed wall maps specifically for Ireland available today. Shown on the map are over 1,000 named places including primary and secondary towns, counties, political boundaries, infrastructure, and selected historical sites for both Ireland and Northern Ireland. Size is 30 x 36". Ireland Executive (antique-style) Wall Map. Scale 1:550,000. National Geographic Maps. A detailed and current wall map of Ireland and Northern Ireland, colored with the soft tans/browns commonly found on antique maps. Ideal for framing. Size is 31 x 20". $3.99 67-1070IRE Ireland. Size 4 x 6 in. $9.95 67-1071IRE Ireland. Size 8 x 12 in. $27.95 67-1073IRE Ireland. Size 2 x 3 ft.